Last weekend I made a fleeting trip across the channel to Dunkirk in France. However what I did not know until the day before my trip was that you cannot catch the ferry from Dover to Dunkirk without a car. I made some new arrangements since you can only go to Calais as a foot passenger and there is only one train from Calais to Dover on a Saturday I was seriously limited in my options. To make the journey work I had to catch an early ferry to Calais, but just to pile on to my already disastrous plan the trains wouldn’t run early enough to get me from London to Dover in time to catch the ferry and so I decided to head down to Dover the night before. 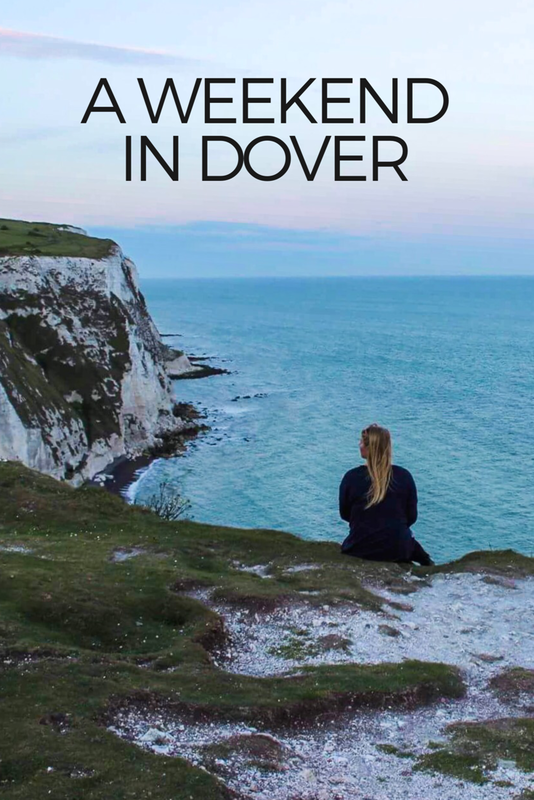 When I arrived in Dover all I wanted to do was explore the white cliffs that I had heard so much about. So I set out exploring. Before coming to the most amazing view. I sat on the edge of the cliff just to see how far down it was. As the sun set I enjoyed the view before heading back to my hotel for the night. I thought I was done with the Cliffs for the time being until I got an eyeful of white on my ferry to across the channel. I always say that the sight of Dover’s white cliffs coming into view as you return from France on the ferry is the welcoming sign that you are “home”. Inspired to see them myself! Love the photos and advice. Oh they do look better from the water in the midst of a swim from England to France…especially with the sun just rising! Thanks for the memories. We did your hike the day after the swim to see what we did bird’s eye. Nice. Have you been to the Seven Sisters? Think you’d love it there. Wow! Superb location and lovely pictures! Love a good cliff walk! The view from the water is stunning. Those cliffs are practically glowing. My husband and I were recently hiking on the cliffs of Ireland. Spectacular! Have you been there? Yes I just wrote a post about the Cliffs of Moher feel free to check it out. Thanks for the like of my post, Beginning. I also spent a weekend years ago waiting in Dover so I could catch my flight from Gatwick the next afternoon. Cheers. Lovely photos! I have always wanted to see Dover.